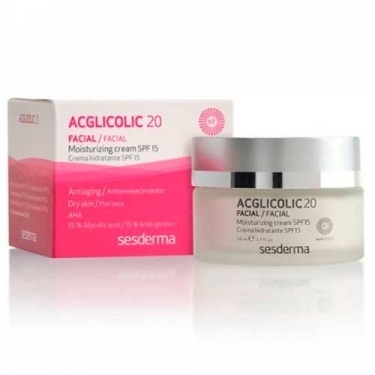 DESCRIPTION: Acglicolic 20 Classic Facial Moisturizing Cream SPF15 from Sesderma is an anti aging care for dry skin. 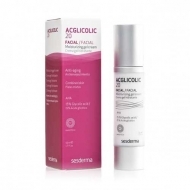 Formulated with Glycolic Acid, Vitamin E and Aloe Vera, it offers a strong anti-aging and regenerating action while moisturizing intensely. With SPF15. 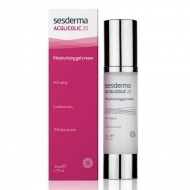 The result is protected, moisturized and soft skin. Apply in the morning on clean face. Massage gently until be absorbed.